Nicola Currie is a contemporary artist based in Worcestershire, England. Nicola specialises in still life, using traditional techniques to produce distinctive figurative oil paintings. 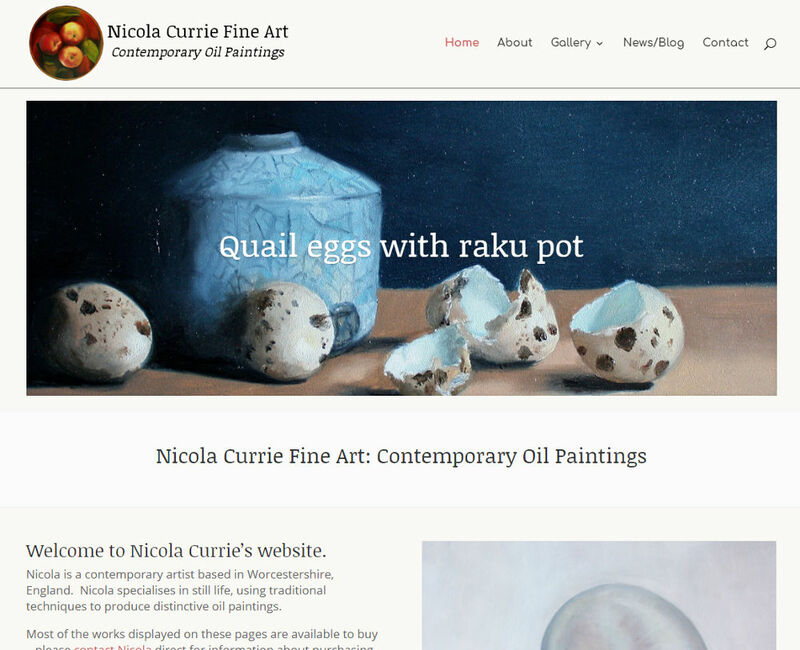 Nicola wanted to change the look of the website and remove the e-commerce functionality, but retaining the gallery and blog.